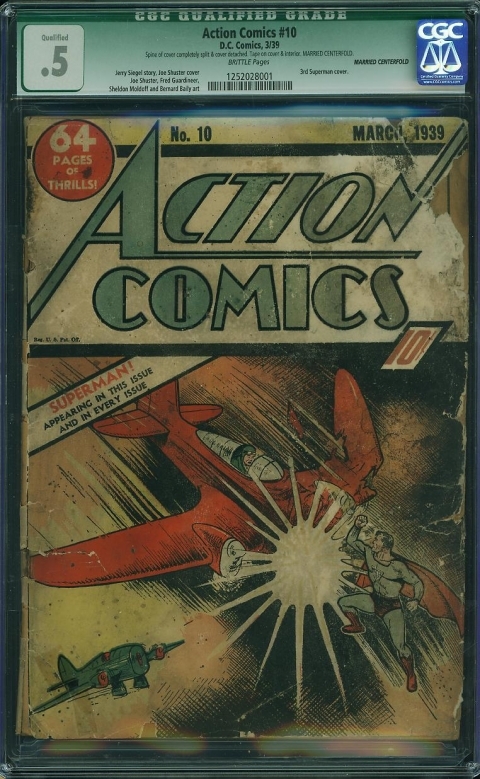 The comic book portion of ComicLink’s Summer Featured Auction ended Thursday September 8th and there were plenty of very interesting results. The team at ComicLink did a stellar job on this one! 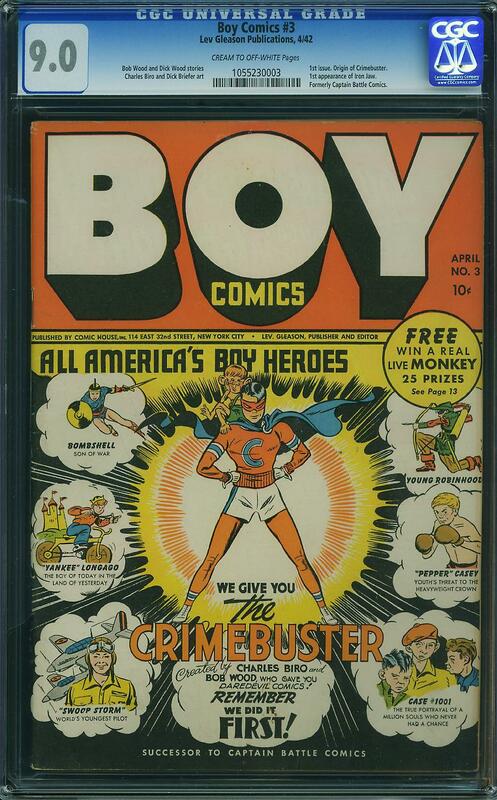 The big book turned out to be the Whiz Comics #1 CGC 6.5 which fetched $106,000. 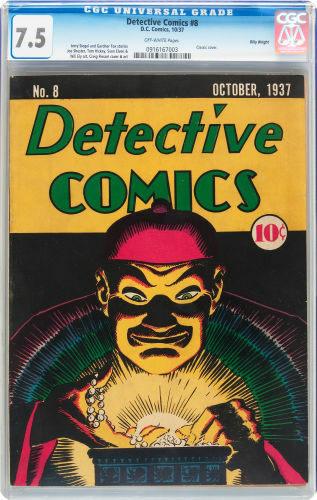 It’s a tough book in the grade and there has been active speculation around the books value over this past year. I’m doing this late at night and don’t have the time to do GPA comparing but the sense I got was that many of the results were strong, lots of new highs were set. This is a good sign for the market. OK let’s look at a few OK now to some results. 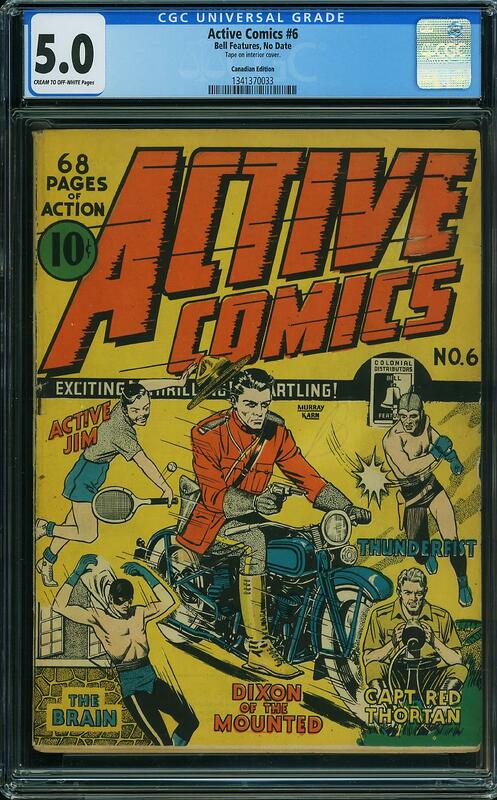 Fantastic Four #52, Marvel Comics, March 1966 Graded by CGC at 9.8 with White pages sold for $61,000.00. Might as well go straight to the big one. Lots of hype around this offering as the last 2 sales were $90k. Today was not this book’s day but I’m pointing at the 3 sales within a short period of time. It’s like getting to the buffet table last after Big Lou and Tiny got there first. 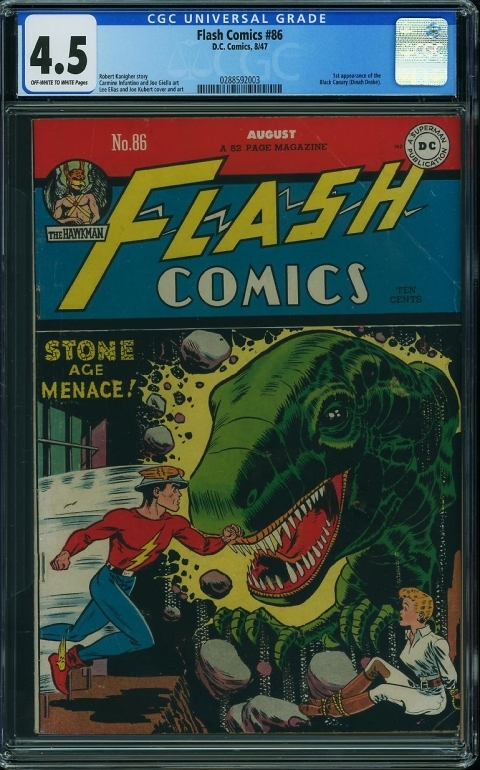 These high grades have a way of sinking into strong collections where they stay for a while. I think this book on auction after say a year of pent up demand will deliver a better performance. Flash Comics #86, DC Comics August 1947 Graded by CGC at 4.5 with Off White to White pages sold for $7,200.00. Hulk #1, Marvel Comics, May 1962 Graded by CGC at 4.0 with Off White pages sold for $8,811.00. What the heck is wrong with Hulk #1? The book has been on a bit of a skip the whole year. 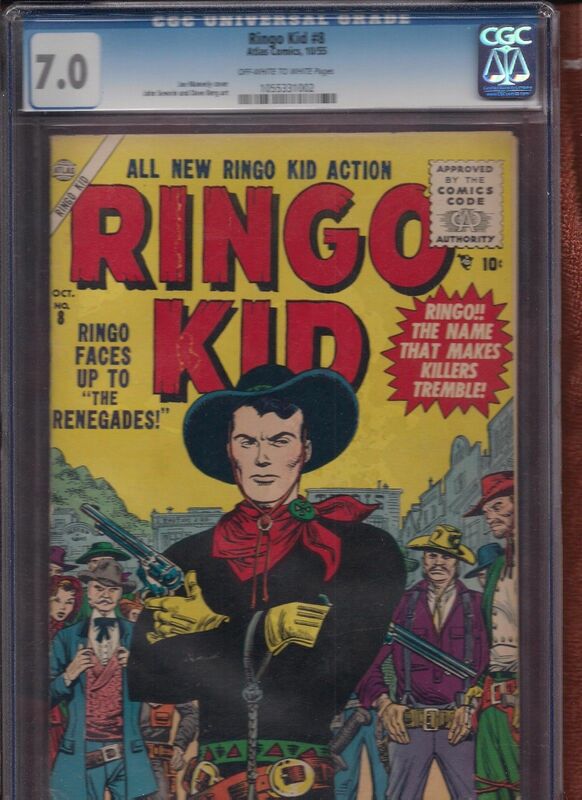 If you ask me this is one of the top major Marvel Silver Age keys and something tells me this book will rebound. Might be a good time to buy. Action Comics #10, DC Comics, March 1939 Graded by CGC at 0.5 (Qualified) with Brittle pages sold for $9,600.00. I mean there has to be a certain level of aesthetics doesn’t there? How can I take this out and enjoy looking at it? Brittle pages, married centerfold, Spine completely split, cover detached and it just looks nasty. X-Men #82, Marvel Comics, July 1973 Graded by CGC at 9.8 with Off White to White pages sold for $2,277.00. I’ve always said CGC should take into account centering and squareness when giving out grades. This book is too over bound for me to think it a 9.8, at what point to you factor that in, anything over an inch? Also this book is a reprint. 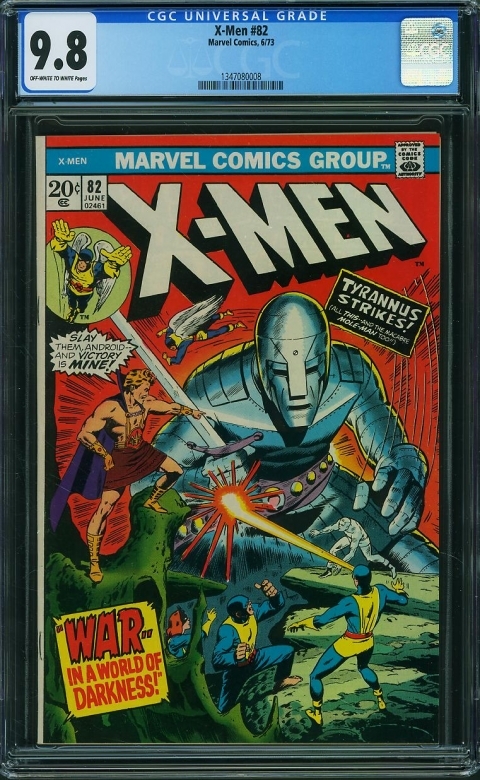 X-Men #67 to #93 were reprints with cover redraws. So I think this comes down to the 9.8 label on the case and the scarcity of grade it represents. So? Anybody score anything? Tell me! Sometimes timing is everything. 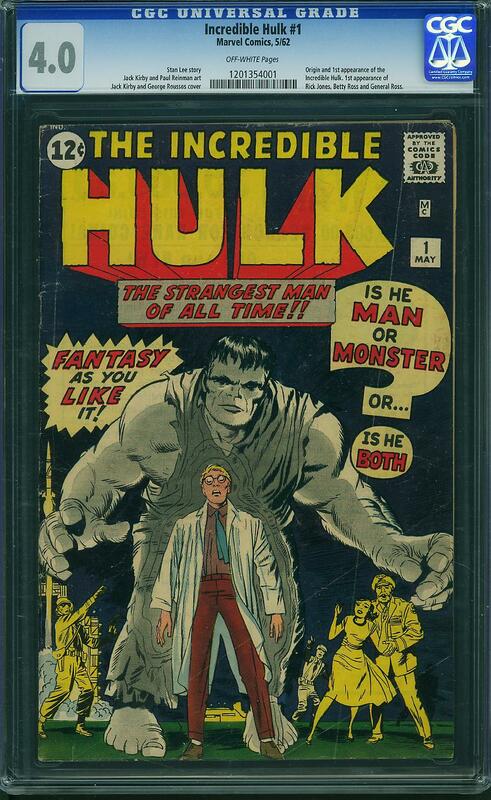 I think I would have waited before releasing another FF#52 9.8 into the market. But still a nice return assuming it was purchased under $25k. A Frazetta Ghost Rider 3 was my fav catch. Also picked up a good looking Tales of Suspense 26. I was caught by surprise with the weakness of the L.B. Cole Suspense books and missed out. I like that Frazetta Mike! Hey Charlie, I think you are right, 3 sales in a row and something had to give. I say we need to watch that CGC census too – I wonder how many of the 9.6’s are being triple pressed, caressed and kissed into possible 9.8s? A whopping difference of $45,062! I don’t know what possess some sellers to take such a risk but a $45k loss has to hurt, even for wealthy folks. Hopefully he was able to hammer out some sort of deal for the fee and/or commission to less the impact… but even still, a hefty loss none the less. Obviously this guy did not read my last write up about investing in the “sweet spot”. If I took a loss like that, I’d have to jump out of an office building just to avoid being beaten to death by my wife. Correction, the $83650 includes the buyers premium… thank goodness. Thank’s for the digging Charlie. I’m sure I’ve told this story but back in the late 80s I bought a rat chewed, put through the laundry Batman #1 for $3200, had it on the wall for like 6 cons that year getting in the way of my $50 ASM #129s that I knew how to buy and sell. Harley called me and asked me to describe the grade. We made a tentative deal where if he liked the book I’d make my money back and he’d throw in a few hundred dollars worth of Spidey’s for my troubles. A week later we met up in a parking lot in Burlington Ontario hiding from the rain under the open back door of his mini van. I gave Harley the book and he looked at it and said “yikes, it’s a little rougher than you described”. I said “so you don’t want the book”? Harley looked at me full of confidence and uttered this gem – “don’t worry Walt, we’ll absorb the loss together”. That little episode inspired me to write a song called “it’s a Harley Affair” sung to Sly Stone’s ‘it’s a Family Affair”. So perhaps the seller and CLink absorbed the loss together … I wonder if this guy is going to write a song? Stories from the comic world… there’s another book in there somewhere. 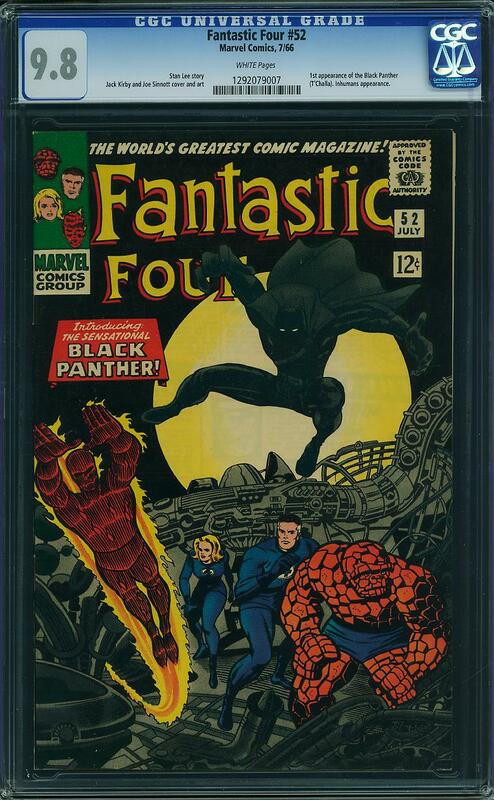 The part that I don’t get is that there is another FF#52 on the exchange with an asking price of $90. The question is… why would someone “deliberately” take a loss… even if it’s only $2650? Makes no sense. Love this segment on the site. Appreciate it very much. Oh, and three strikes and your out with the lowest profit….. Should have hung onto the FF. Thanks for chiming in Peter. I think you are right, a little patience on that 3rd FF might have avoided the low price but we never know what financial pressure drive people to sell. Advertising? Not a bad idea but I’d need a partner…. ???? Yeah that price doesn’t add up. I’d suspect the seller thinks the price was an anomaly and that taking a small haircut is better than losing a shirt. Hey Walt…what would your old Batman #1 rat chewed and all be worth today ? Formerly a 9.6… asking $82500.